Tim McNulty is a poet, essayist, and nature writer. He is the author of two poetry collections, In Blue Mountain Dusk and Pawtracks, and ten poetry chapbooks including Cloud Studies, Some Ducks and Through High Still Air. 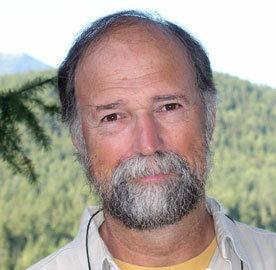 He is also the author of eleven books on natural history, including Olympic National Park: A Natural History. Tim has received the Washington Governor's Writers Award and the National Outdoor Book Award. He lives with his family in the foothills of Washington's Olympic Mountains, where his is active in wilderness and conservation work.